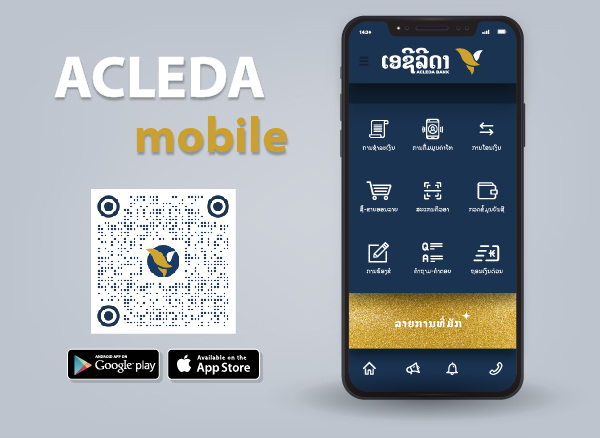 ACLEDA Bank introduced a new deposit service called Education Savings Account that ACLEDA Bank is responsible for maintaining, administering, and arranging the personal or legal entity's cash for education payments: school fee and/or study material fee of the account holder, family members, relatives, his/her employees, or third parties. Education Savings Account requires an initial deposit of LAK200,000. Every time you make withdrawals from the account, you must ensure a minimum balance of LAK100,000. The interest rate for Education Savings Account is 7.5% per annum. The interest is daily accrued and semi-yearly capitalized.